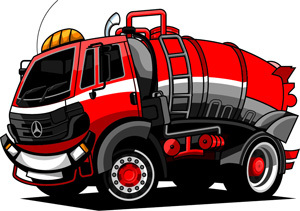 Waste management specialists Cleansing Service Group (CSG) have launched a dedicated sewage clearance booking website which enables customers to get an instant online quote and book a tanker to empty their septic tank, cesspit or sewage treatment plant. The new website – www.septictanksandcesspits.com – is specifically designed to provide an easy and convenient way for customers who need a clearance to book and pay for the service at the time of day or night most convenient for them. CSG is the UK’s largest and longest-established domestic sewage and off-mains drainage service provider with a large fleet of specialist tankers and fully-trained operatives carrying out over 80,000 clearances each year. The company is a fully licensed and approved waste carrier specialising is all aspects of sewage waste treatment.